Music is my therapy. Behind each and every one of my favorite songs, there is a life story that simply plays the beat of my heart. Life's loves and losses are all emotionally invested into my music. How many songs do you listen to that will always bring you back to a special moment? 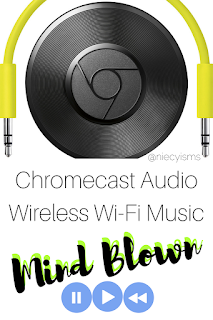 Having the ability to play your favorite new or classic music by streaming wirelessly through speakers from your iPhone or android devices, laptop or tablet is a significant technology game changer- mind blown. 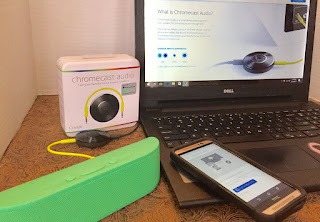 How does Chromecast Audio improve your music listening experience? Simple. 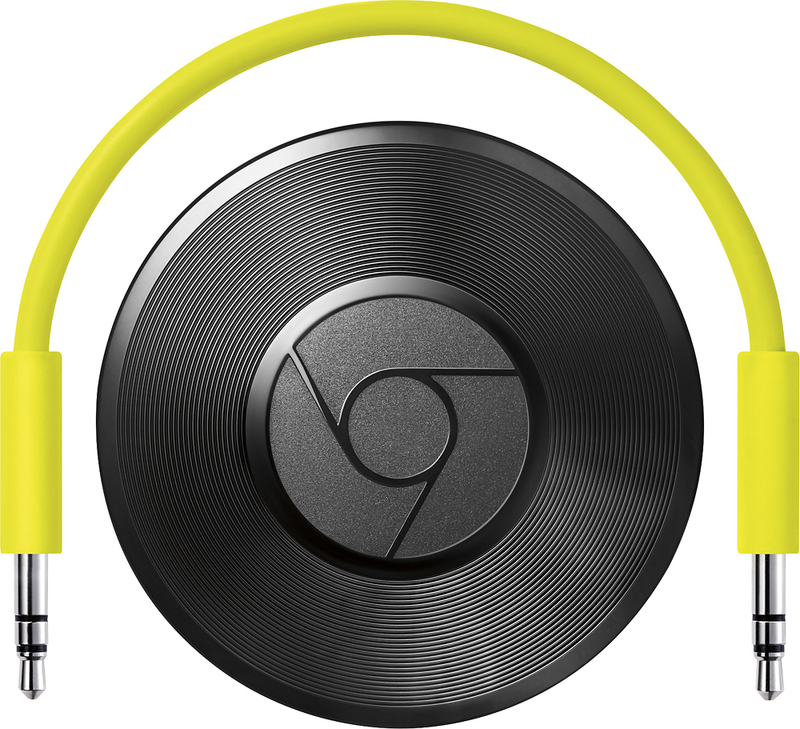 Chromecast Audio uses Wi-Fi as opposed to Bluetooth to enable you to stream tunes with hi-res sound clarity. 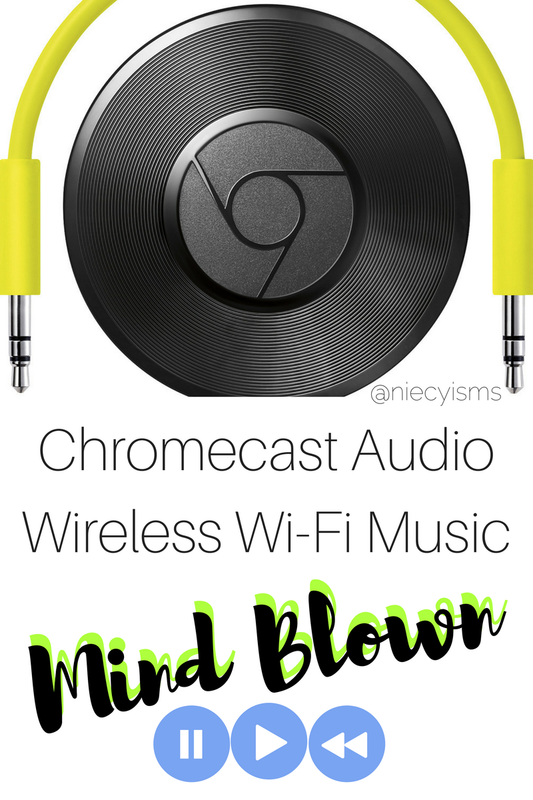 I love being able to enjoy listening to my music with crystal clear sound, powered by the cloud with Chromecast Audio streaming tunes over Wi-Fi with an adaptive antenna system, rather than Bluetooth for a higher sound quality. Imagine being able to play music on your speakers using the Cast Button on your phone or compatible devices to play, pause, or adjust the volume control from anywhere in your home or work space. I am now able to keep on track while streaming music, multitasking capabilities allow you to send text messages or make phone calls without interrupting the music playing or draining my battery's power. 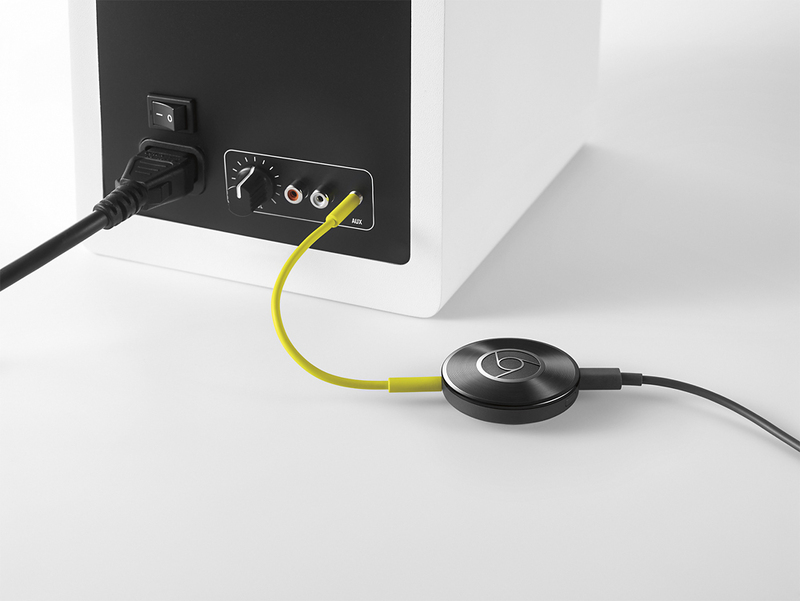 The power of Chromecast Audio allows you to listen to music everywhere with Multi-room by grouping Chromecast Audio devices together so you can sync them up to play the same song on multiple speakers. Use your favorite music apps to stream songs, radio stations, and podcasts through popular apps such as- Pandora, Spotify, YouTube Music, and Google Play Music. Find out more info at Best Buy stores or online.